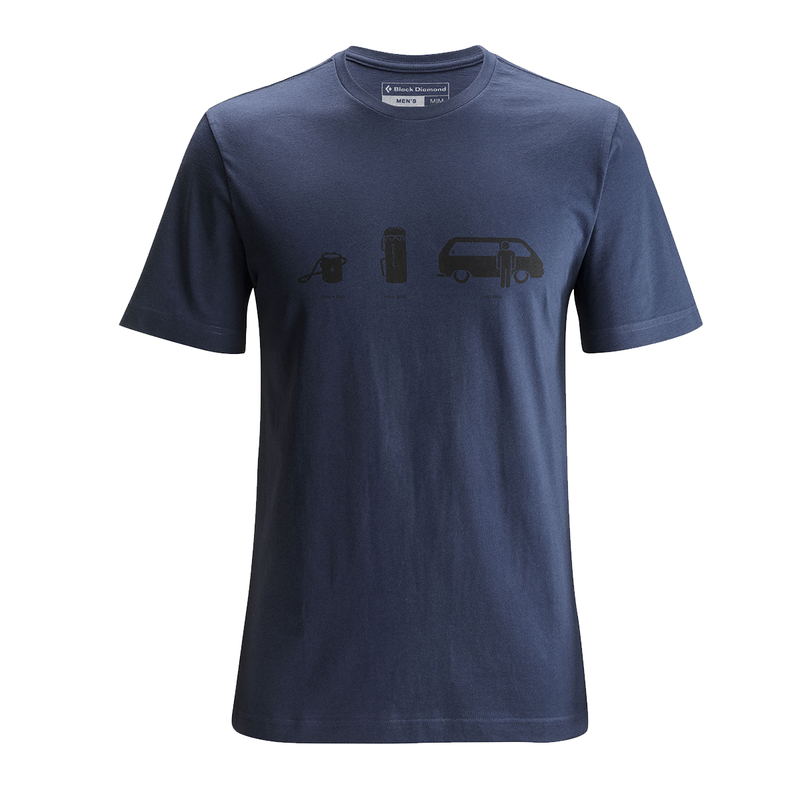 The Black Diamond Dirtbag Tee S/S Men is an organic cotton stretch t-shirt designed with the dirtbag essentials: car, gear, and you. Made from organic cotton, the Black Diamond Dirtbag Tee S/S Men is designed for freshness, able to go the distance after full days spent working projects and nights spent around the campfire, living the dirtbag dream. Durable, breathable, comfortable and non-clinging, and naturally bacteria and odour-inhibiting, organic cotton's tough fibers are able to stand up to repeated washes, allows the skin to breathe, is soft to the touch, resists smells clinging to it, and prevents the growth of bacteria. Aside from that, it is much more sustainable than standard cotton, using non-GMO (genetically-modified) seeds and no harsh pesticides or insecticides, making it kinder to skin and much more environmentally-friendly. Organic cotton can thus go longer in between washes and remain comfortable making it great for outdoor sports, and supports sustainability and fair working conditions. 4% elastane content for increased mobility.